Catawba Regional Council of Governments (COG) is an association of South Carolina local governments in Chester, Lancaster, Union, and York counties. The COG serves as a forum for intergovernmental cooperation and as a central staffing resource for grantsmanship, land use and transportation planning, community and economic development, workforce investment, GIS mapping, information systems, and project management. At 64, Lancaster resident James Blackmon is learning a new trade. 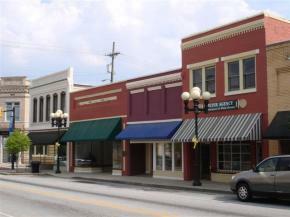 The City of Union is located in the “heart” of Union County, South Carolina. It serves as the county seat and has a 2010 Census population of 8,393 people.